Red Bull Racing’s Christian Horner is confident about what new engine supplier Honda has produced for the team over the northern winter given that it finally has a ‘settled’ concept. Honda replaces Renault in suppling power units to Red Bull this year after spending a year effectively on trial with Scuderia Toro Rosso following its acrimonious split from McLaren. The Japanese manufacturer’s latest stint in Formula 1 has been blighted by unreliability and a lack of grunt, but it improved enough with the junior team last year to convince Red Bull to end its own testy relationship with Renault. Horner believes that a year of consolidation will hold Honda in good stead for 2019. “I think they’ve had a strong winter,” said the Red Bull team principal. 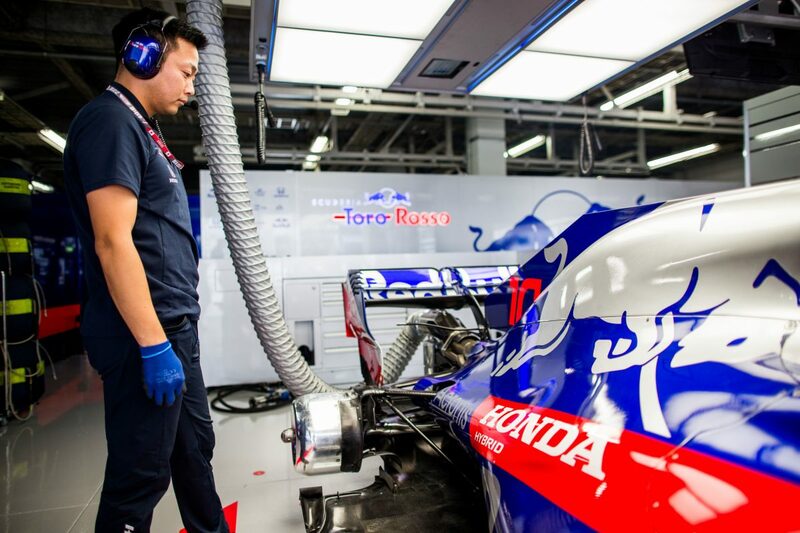 “Red Bull Technology have been working with Honda for 12 months now having supplied the gearbox and drivetrain solution for Toro Rosso, so we’ve seen behind the scenes their evolution and they’re making good progress. “I think stability of regulations will help them. They have settled on a concept that for the first time since their re-entry into Formula 1 has continued from one season to the next without it being a completely clean sheet of paper. Red Bull won four races last year, two each to Max Verstappen and now-departed Daniel Ricciardo, and finished third in the constructors’ championship to Mercedes and Ferrari. Toro Rosso ended up ninth in the 10-team field and incurred several grid penalties for engine changes. Many of those changes were, however, strategic decisions made with regard to development and taken at relatively opportune times. Horner indicated that such an approach may persist somewhat with Red Bull this year. “Obviously it’s a huge challenge to do 21 races on three engines,” he observed. “We would rather see consistent evolution, and if that means taking a penalty or two along the way, as we saw last year the impact of those penalties at the right venue can be fairly minimal. Horner also said there would be no repeat of the tensions which boiled over between Red Bull and Renault last year due to being more integrated with Honda’s F1 operations. “I think it’s a very different scenario,” he explained. “The last five years — obviously we were with Renault for 12 years — and particularly the last three have been very much a customer and supplier relationship where effectively we’ve been paying for a first class ticket and you get an economy seat. “An awful lot of frustration has borne out of that, and the management within Renault has been different to what it was when we started the relationship. “So I think with Honda, it being a true technical partnership, there’s much more collective responsibility from both sides rather than being a customer-supplier scenario. Red Bull will launch its RB15 on February 13.